HOW TO FILE DISCOVERY CLAIMS TO TAKE BACK YOU HOME! On Wednesday February 14th, 2018 @DisLeague in addition to several Home Save Advocates Groups from across these lands will be submitting to @SIGTARP The Office of the Special Inspector General for the Troubled Asset Relief Program (Online HotLine). SIGTARP in turn issues their own Reports to Congress of their discoveries collected from us, whom in turn will share this with the Office of The President. Oh yes, we many advocates and consumers have done this in years past, to no avail, this year we are uniting together in what we call our Trust = Love Campaign. If you look through our site, you will learn that there are specific IRS forms that need to be properly filed by these bankster's and their underlings to which if they have not done, they will be reported to the @TIGTA Treasury inspector General for Tax Administration for Tax Evasion to which if @TIGTA does not comply with their administrative policies and procedures we will be pressing the issue with Commissioner of Internal Revenue Service whom was appointed by the President. Here is OUR Fine Print…..
We The People are no longer going to tolerate these abuses of the color of law inter alia, 18 US Code §§ 241 & 242 as one of the ORIGINAL SOURCE LAW Yick Wo v. Hopkins, 118 U.S. 356 (1886) U.S. 356. We The People are NOT Straw Men and Women whose use of our signatures has been forged on our behalves. We the People did not authorize the Federalized, now monopolized Banking Industry (See American Banana Co. v. United Fruit Co. 213 U.S. 347 (1909)) to engage us their partnership interest to infringement of our Rights (See Rafael v. Verelst, 2 Wm.Bl 983, 1055) by misuse of Sherifs force through courts which are NOT ordained at Article III Section 1 of the Constitution whom hold EIN Vested Interest in the outcome of our cases under letters of Marque to deny We the People of Due Process. To have Federal Judges under matters of law at 15 US Code 78 aa attempt to cover up third party graft bribes through judicial favors is an act of treason against the people of this nation. To have a State Court practice law from the bench is guilty of high misdemeanor Under US Code Title 18 §454. The Magistrates whom actively engage in such activities have in fact violated their Oath of Office at 11th Amendment to where We the People maintain ALL of the rights Afforded to them, inter alia, our Bill of Rights and the 11th Amendment, as a matter of law. Courts are NOT ordained at Article III Section 1 of the constitution in opposition to the law! 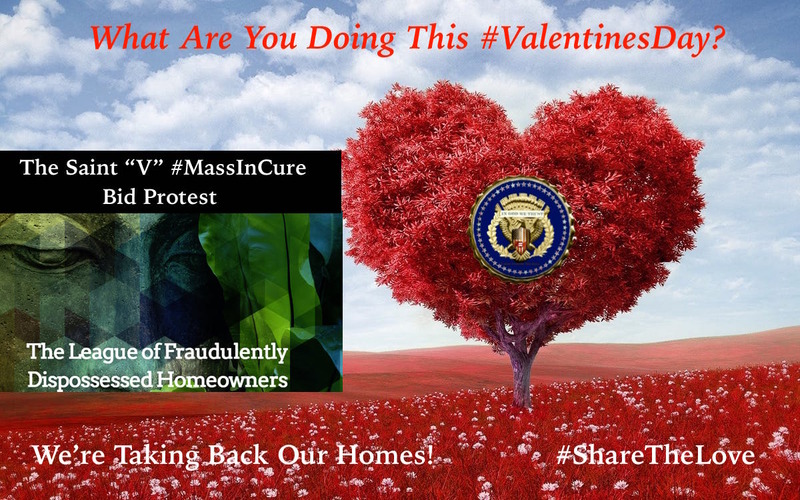 These activities fall under US Code Title 18 § 4 and to whereby The League of Fraudulently Dispossessed Homeowners are obligated to report the crimes committed to the authorities to be Served by SIGTARP through our #MassInCure Protest Bid to the President of the United States of America and backed by @DisLeauge proposal of a PEOPLES Amicus Curiae. @DisLeague is in the process of County research that may be used as a basis for discovery and will be expanded into other states by example. 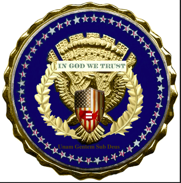 We expect to find a minimum 60% (county) court employee benefit system in mortgage and intellectual asset back securities, other bank and financial products ties to mortgage and intellectual asset back securities in addition to vested invest in Real Estate Companies in exchange for judicial favors in clear violation of 28 US Code §1443 whom are acting under color of authority derived from any law providing for equal rights, or refusing to do any act on the ground that it would be inconsistent with such law, 28 US Code§1443, Title 42 UD Code §§§ 1983, 1985, 1988 [US Code Title 18 §§ 241 and 242, implicated. @DisLeague is a Messenger to, fro and through the Fraudulently Dispossessed Homeowners across this nation.